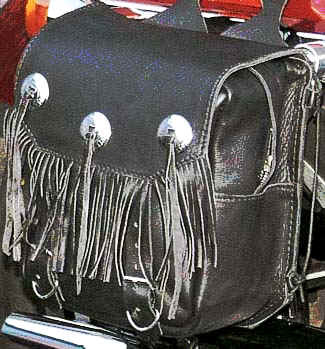 Standard cut, wide gusset saddlebags have fringed leather accents. Cut outs on throwover center. A nice bag for the price. Zippered closure for protection.